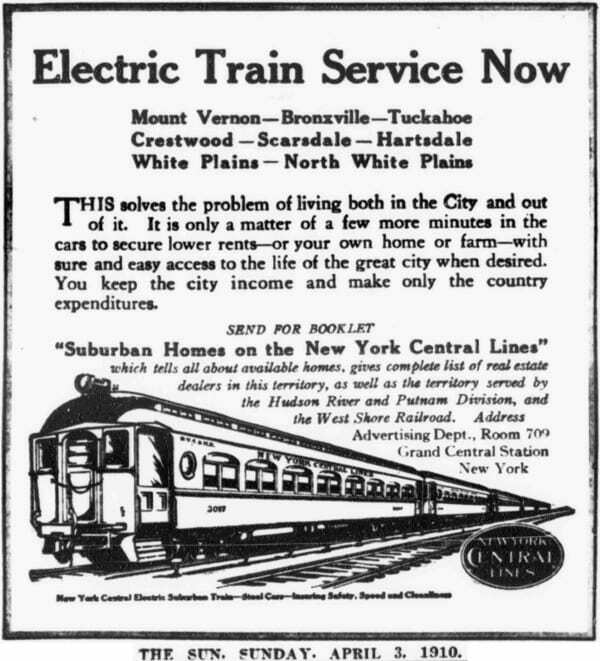 Recently I’ve been having a lot of fun poring over the history of the Harlem Line and trains in the area. 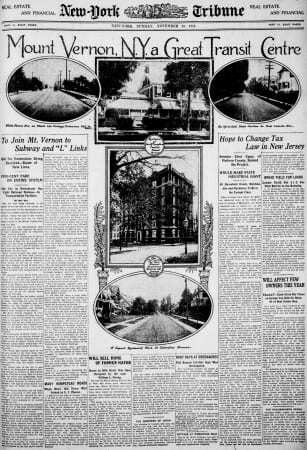 I mentioned a few weeks ago a new part of the site called the Historical Archives. 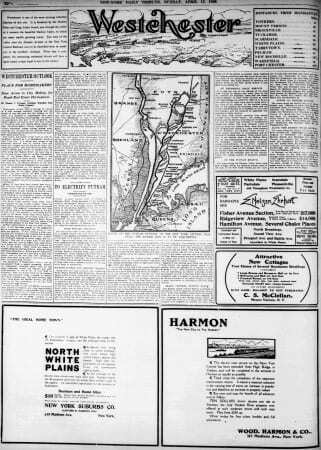 When it first opened the Historical Archives had a few timetables, maps and newspaper articles. Now it contains well over a hundred different entries. I must thank the folks at the Research Library at the Danbury Railway Museum because many of the timetables in the Archive come from their collection. 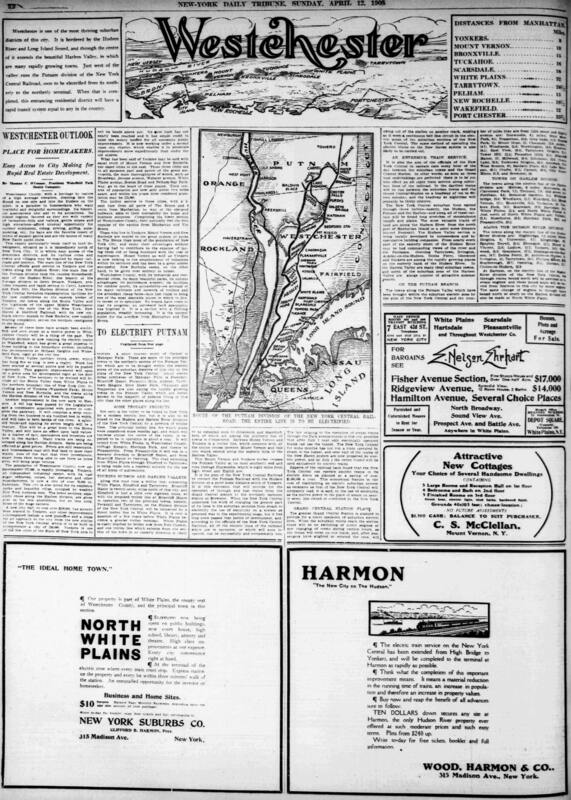 I figured that in addition to my normal blogging of current events and craziness, I shall from here forward designate Friday as Historical Archive day, and I will be posting an article about something interesting about this history of the Harlem Line. The navigation at the top of the site changed slightly, in order to accommodate the new category, called History. Above are just some of the headlines of newspaper articles now in the Historical Archives. 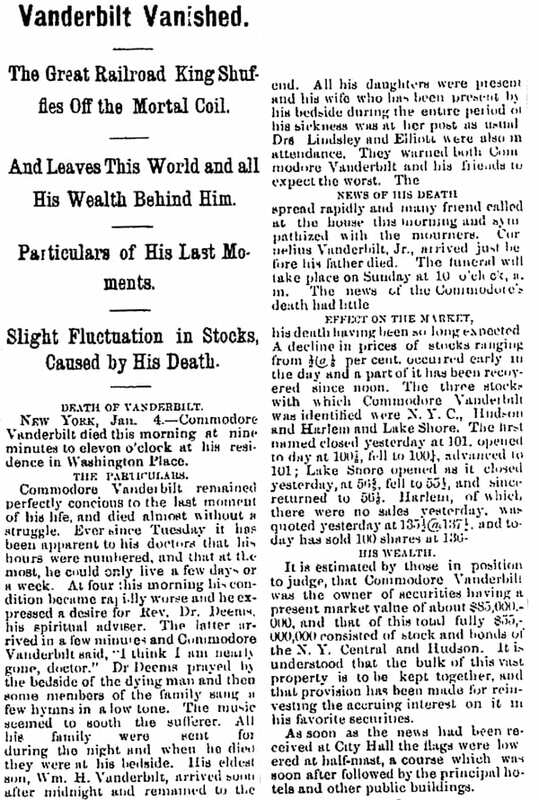 On January 8th 1902 the worst train wreck in New York City’s history occurred underground in the Park Avenue Tunnel. 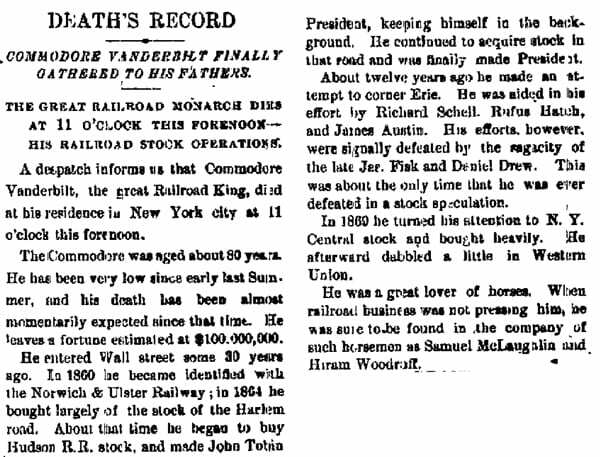 The tunnel had originally been built in 1876 to make Manhattan safer by removing the tracks from aboveground. However low visibility in the darkness, and especially the smoke from coal-burning locomotives, made the tunnel quite hazardous. 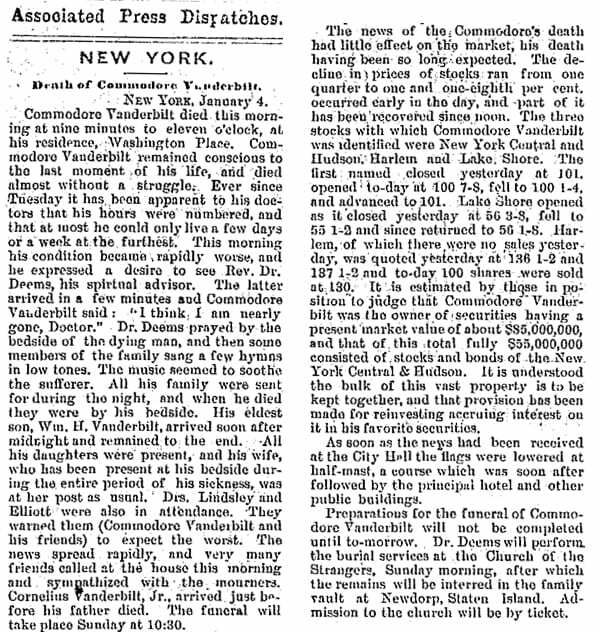 This was not the first wreck in the tunnel: accidents had occurred in 1891, where six people were killed, and 1882, where two people lost their lives. 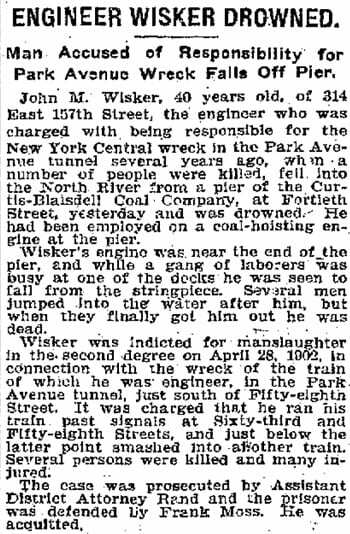 At first, the engineer John M. Wisker was blamed for the accident. He had missed several signals, and he was controlling the train that slammed into the train in front of it. 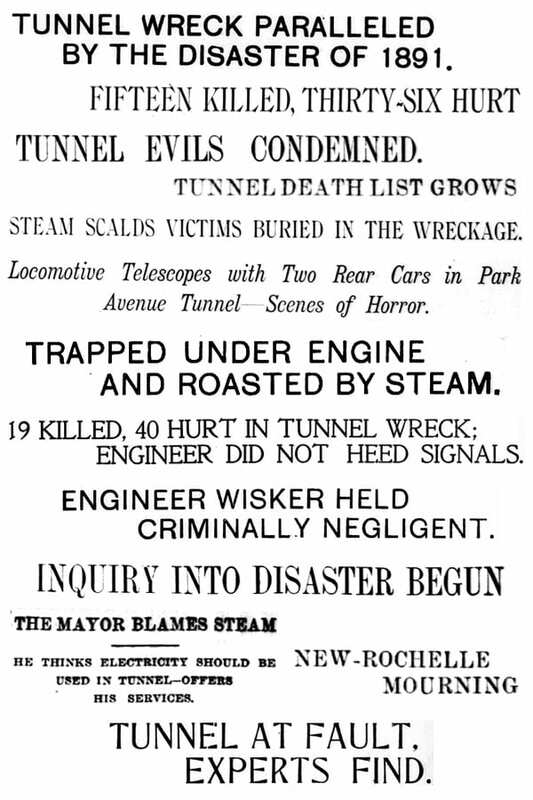 Ultimately, Wisker was acquitted – the dangers and low visibility in the tunnel was to blame for the crash. 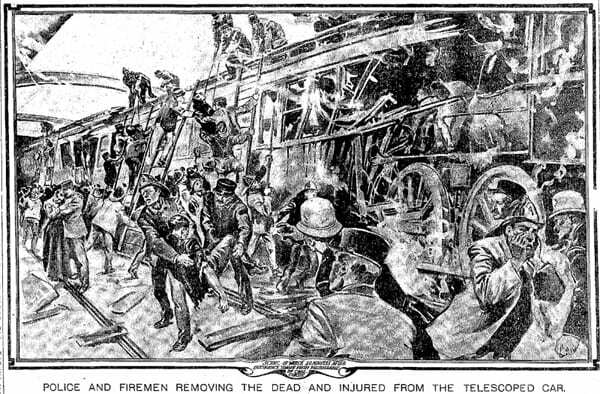 Fifteen people died as an immediate result of the crash, and several others died in the hospital shortly after. 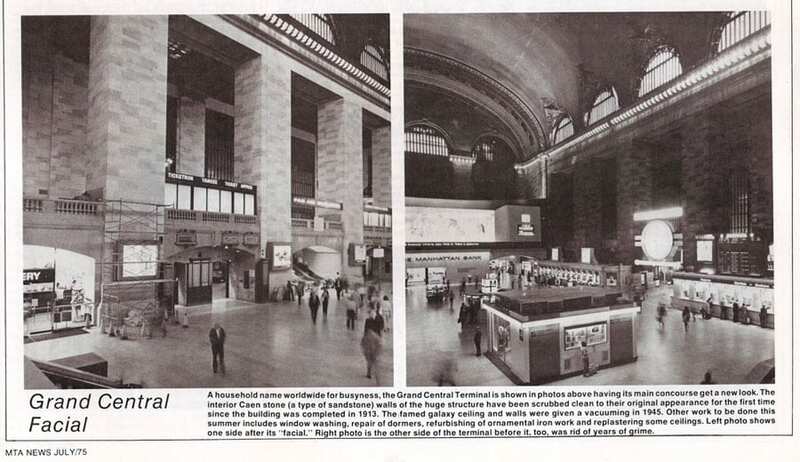 The deaths, however, were not in vain: they provided the final push for electric service on the line, and led to the replacement of Grand Central Depot. It was reborn as the Grand Central Terminal that we know today, and opened in 1913. 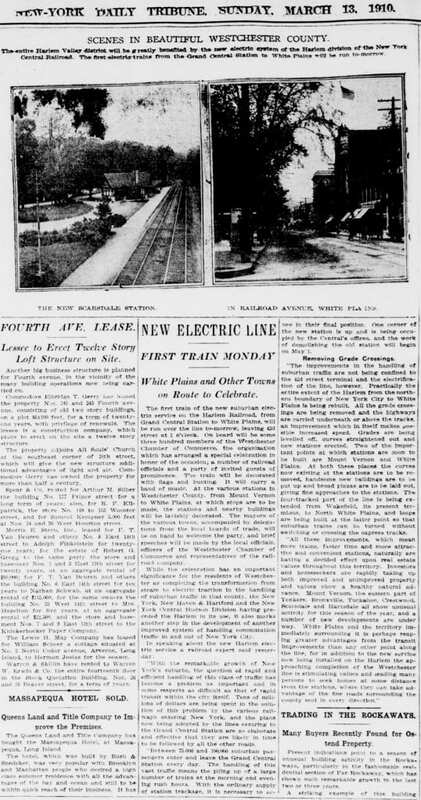 The first regular service on the new electrified line ran to White Plains in 1910, an article of which also appears in the archive. 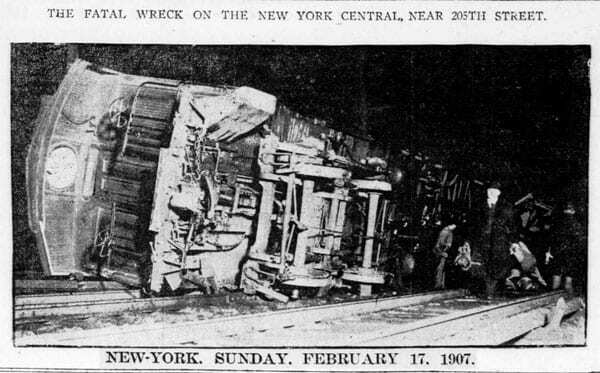 If you are interested in learning more about the Park Avenue Tunnel Wreck of 1902, and the influence on Grand Central, you should certainly check out Grand Central, a part of PBS’s American Experience, which is viewable online.